The enchanting waters of the West coast of Scotland is arguably one of the finest cruising areas in the world with its myriad of beautiful anchorages, beaches, harbours and islands. 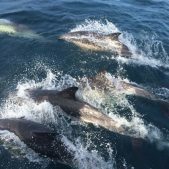 The opportunities to see and experience the abundant marine wildlife are endless with sightings of Dolphins, Sharks, Seals, Whales, Porpoises, Otters and sea birds from the Tern to the magnificent Sea Eagle. 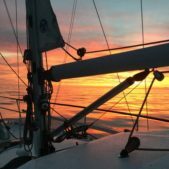 We offer the opportunity of sailing in these waters via our skippered yacht charters on yacht Bluebird from April to October from ports and marinas between the Clyde and Northern Skye. 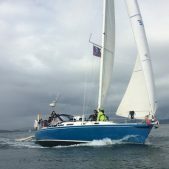 Laurie our skipper has a wealth of sailing experience and knowledge of the coastal waters of the West Coast including the Western islands from St Kilda to Arran on the Clyde estuary having cruised and raced yachts here for over 40 years. 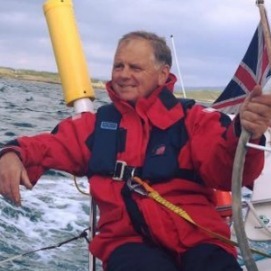 He is a qualified RYA yacht master skipper, (commercially endorsed). The experience of sailing on yacht Bluebird is enhanced by the restaurant quality cuisine which is provided on board our beautiful yacht. Thank you Laurie! You did an amazing job with the weather order + the victualling weren’t too shabby either. It was my honour to watch your expertise. Thanks Laurie – a fantastic two days. St. Kilda has been on my to do list for a long time + finally I’ve made it there, with great food and good company. Seeing the dolphins play around the boat on the way was a real treat too. Cheers! When and where do you sail? Our sailing season starts in April and ends in October for skippers yacht charters. 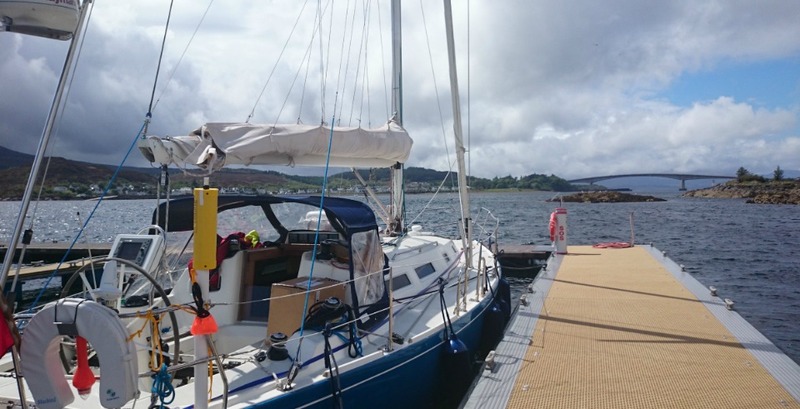 We take off from ports and marinas in the Clyde, Mid Argyll, Oban, Mallaig and Gairloch. How many rooms does Bluebird have? Bluebird has accommodation comprising of two double cabins (one en suite) and the main saloon which has two single berths suitable for five guests. She has full central heating, hot and cold running water and a separate heads compartment (marine toilet) with wash hand basin and shower. Are guests allowed to help sail Bluebird? All our guests are invited to get involved in the day to day running of the yacht, helming, navigating, sail handling, etc., or to simply sit back and enjoy the stunning scenery, it’s completely up to you!